www.iWon.com – What You Should Know. 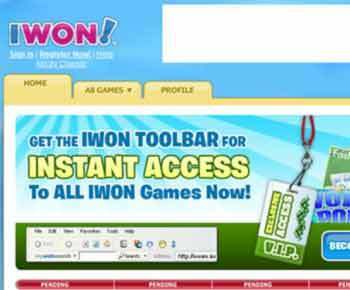 If you don’t know the first thing about iWon.com it’s actually a website that gives you access to hundreds of games for free in line with other great website of this genre like pchgames.com, candystand.com or iwin.com. These free games include puzzle games, arcade games, sports games, classic card games and a whole lot more. You might think it’s a lottery website, but it’s really not. iWon is a Portal and search engine that gives away cash prizes daily, and as a gaming portal, you can go there and get to enjoy the many games that the website offers. 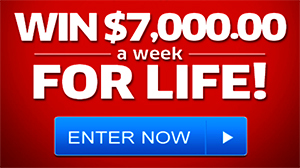 Unlike other gaming portals, however, iWon.com gives its users the chance to win $10,000 every weekend and $1,000,000 every year during tax seasons. That said, you go get a chance to win that kind of money simply by logging on to the iWon.com website and playing games there. We took a look at some of the games featured on the website and found different games for different tastes. There was Garden Scapes which presumably is related to gardening. We also found Palisade Guardian which is a combat game, and then there was My Dream Wedding, which lets you design your own dream wedding, albeit virtually. The good thing about iWon.com is that points won by members have their equivalent in cash, which is then donated to different charities. So, if you want to make a difference in people’s lives by playing games, you can do so by consistently playing at iWon.com. Of course, when you’re playing, you don’t just think about the charities you’ll be able to help. Enjoy yourself too. As we said before, iWon.com is a gaming portal and you can play hundreds of different types of games. If one games bores you, you can always move on to the next game and the next game until you find a game that is fun. iWon.com also has a Facebook app so make sure you check that out. Signing into IWON through Facebook iWon is quick and easy! Simply click on the “Connect with Facebook” button on the homepage or game screen to sign in and play. You can SignUp also with your email addresss – iWon Email login. Plus, when you register an iWon account you will get a 1,000 coins to get started. Good Luck! Donate a half a million or million to Scottish Rite Children’s Hospital that would put a smile on some kids faces the definitely smile on mine face.. I won.com that’s a new site I have not enter but will today thanks to you I just might win a free prize or a Dream come true sweepstake giveaway just by entering a contest. Yes I Mike Gumaer would love to have the PRIZE PATROL Come to Ft WALTON Beach FLORIDA, 32547. Yes I want to meet are PRIZE PATROL Elite Team, Danielle Lam, Todd Sloane and Dave Sayer. It be SO nice to meet you guys it will brighten up my day seeing you. is it just a phantom we all chase . I’m blessed to find this I’m entering in gwy.nos. 3814 & 3080 entries. Hope I’m one of the winners. I just now found this website!! Looks like I’m going to have a lot more fun now!!! I could never download all the games because my cheap phone kept yelling at me, low on space, low on space, low on space!!! I got some reading to do!!! I got some new sweepstakes to enter, more fun for me!!! Heck ya ii am ready to win any thing right now just like every red blooded person in the world even if they have money they want more share time, but i love your post here i know i am safe for signing up for thing’s here and not getting scammed i will enter a SweepStakes here you have some great ones on here .